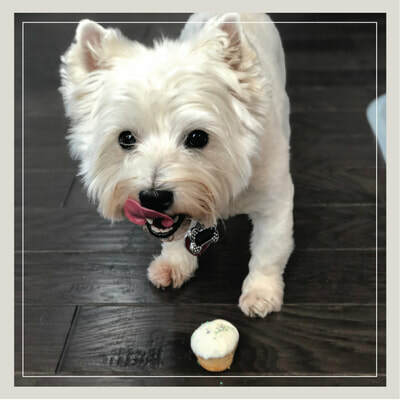 We created our signature line of pupcakes using dog-safe ingredients like eggs, honey, coconut oil, and rice flour, and top them with the yogurt chips or carob chips dogs love. 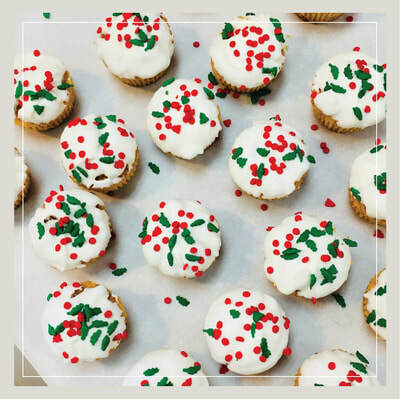 (Absolutely no chocolate ever.) Dogs lap them up! 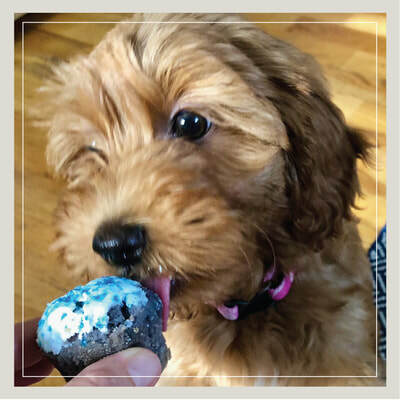 We typically offer our pupcakes in four flavors: pumpkin, sweet potato, banana, and blueberry. 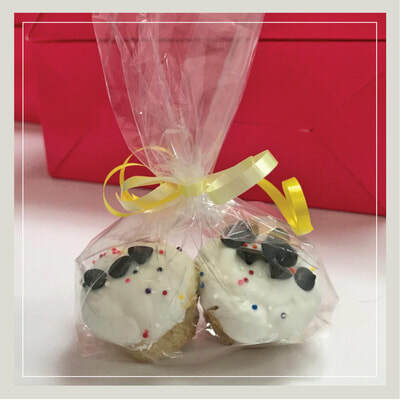 ​Our pupcakes come in sweetly packaged sets of two for $3.95. Better yet? 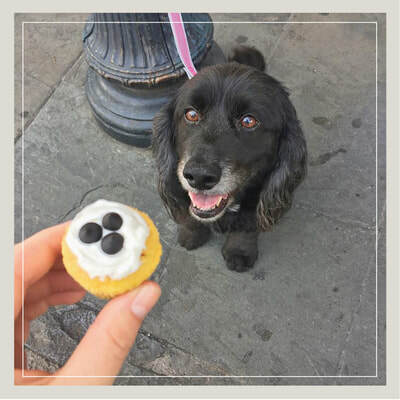 We donate $1 for every pupcake pack sold at our downtown Charleston and Mount Pleasant bakeries to the Charleston Animal Society, and $1 for every pupcake pack sold at our Columbia bakery to Columbia Animal Services. 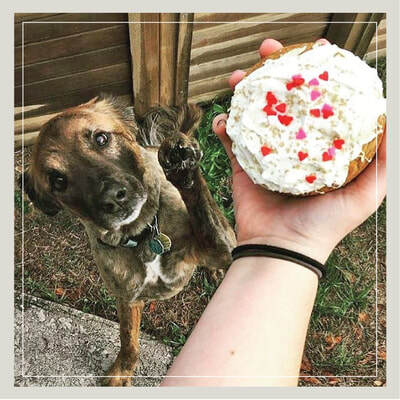 Delight your dog and do good at the same time!